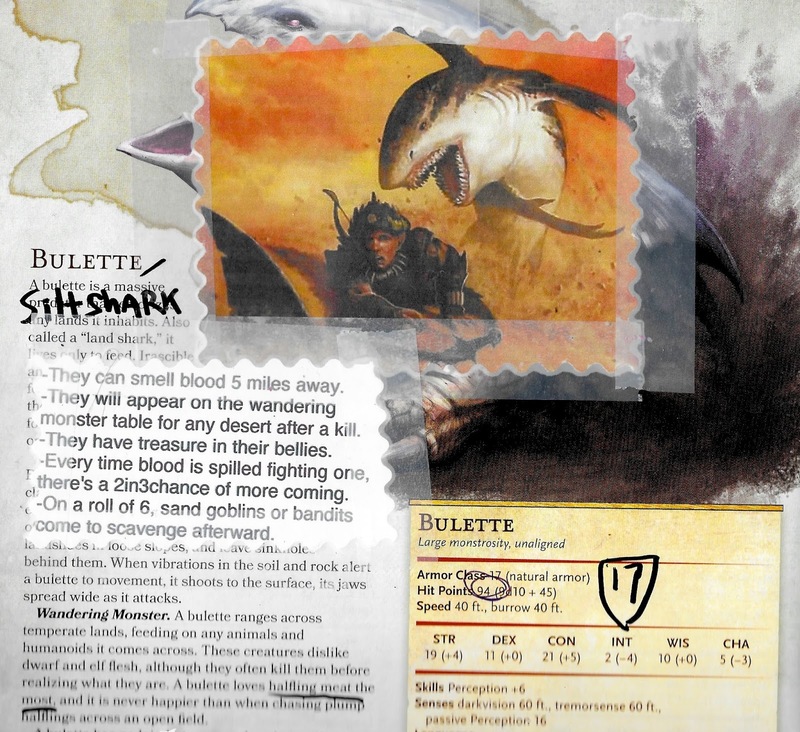 My players are currently travelling through a desert and I also took the silt shark over the bulette. Two other monsters from Dark Sun that appear on my random encounter table are the Dune Trapper and the Sand Cactus. I like the twist on blood sense and will steal it from you. This is rad. And timely, given your recent postapocalyptic posts. I always thought the siltshark was just perfect for After the Bomb/Mutant Future/Atomic Highway. It's a little bit of a gonzo monster in those settings, but then postapoc always seems to naturally drift gonzo anyway.